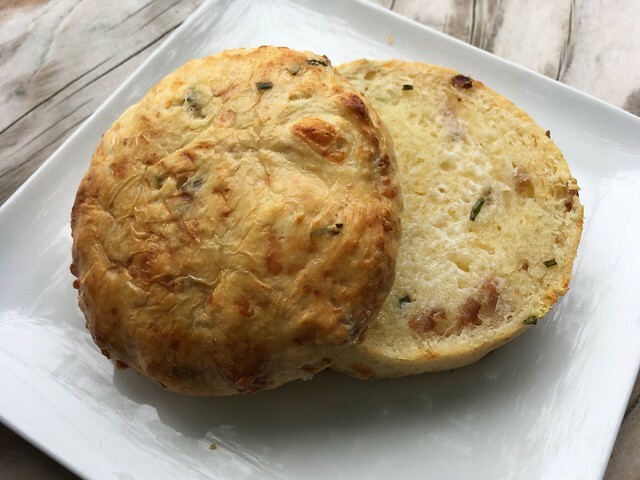 Bacon and cheddar biscuit – Reveille Coffee Co. This biscuit was really tasty especially since they buttered it. It was on the dense side, but I liked it. This entry was posted in Reveille Coffee Co. and tagged bacon, biscuit, cheddar, food by vicentesf. Bookmark the permalink.